Bauer has just announced the Vapor X60 Limited Edition will be coming out next month…and it looks dope. 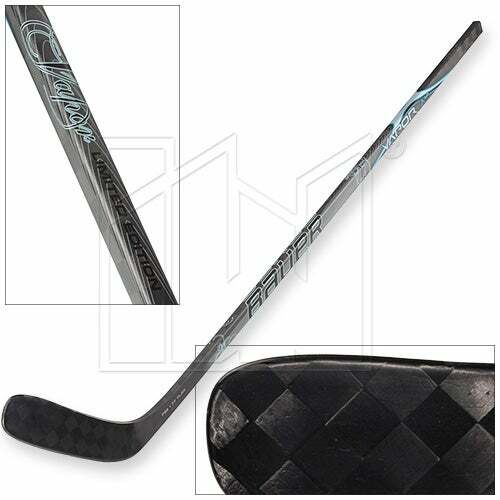 They have taken the look of the non-grip version of the X60 stick darkened it a little and added some smoke like blue graphics giving the stick a great look. The Bauer X:60 LE stick will have the same construction and materials as the standard X60 stick, only difference being graphics and instead of a stick’um coating or traditional gloss smooth coating, Bauer has used a smooth matte finish. Great choice in my opinion. Check out the site for more info about the stick and its availability. This entry was posted in Hockey Stick Reviews and tagged Bauer hockey sticks, Bauer limited edition stick, dope stick, IceWarehouse.com, New hockey stick, Vapor X60 LE stick, x60 LE stick on May 20, 2010 by Tyson.